This is the first Praecipe mailed to the Clerk of Court. 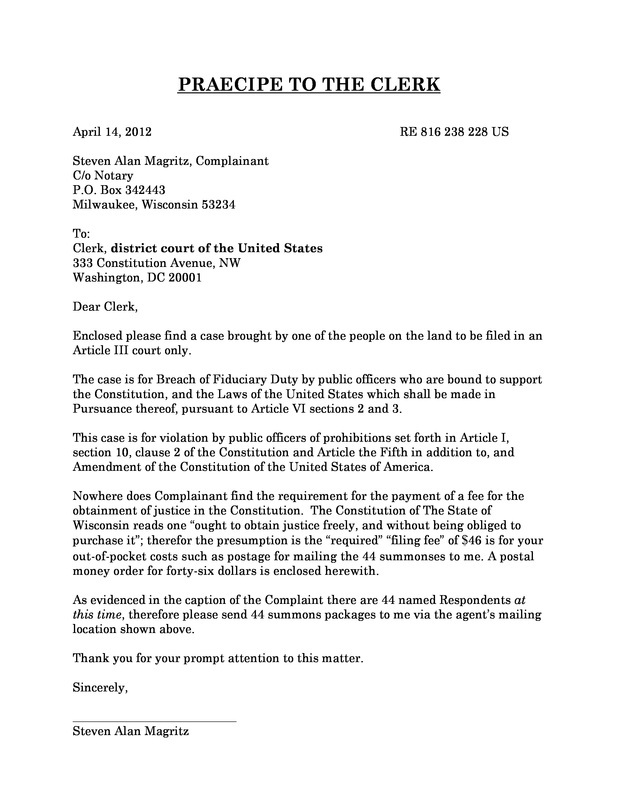 It is the first of many documents from Complainant Magritz that the court did not publish on PACER. This is only one of the ways that the corrupt court system keeps the "system" non-transparent and prevents the people from finding out what really goes on in Amerika. Notice that everything mailed to the court is sent either Registered mail or Certified mail, and virtually always with a Certificate of Mailing by a third party plus a postal Form PS 3877 or PS 3817. "Trust", but verify.